My wife Melanie and I are celebrating fifteen years of marriage today. I’m not going to lie; we have a great marriage. Sometimes it seems that people think that because our marriage is sweet, that it must be easy. I am actually skeptical of people who proclaim that marriage is easy. Joyful, yes. Easy, most days. A Christ-honoring marriage requires commitment, sacrifice, and a willingness to grow. We are both sinners (especially me! ), but God in His great grace loves to empower, strengthen, redeem, and bless couples who are committed to growing in love for God and for each other. Knowing Jesus should make a difference in our marriage. 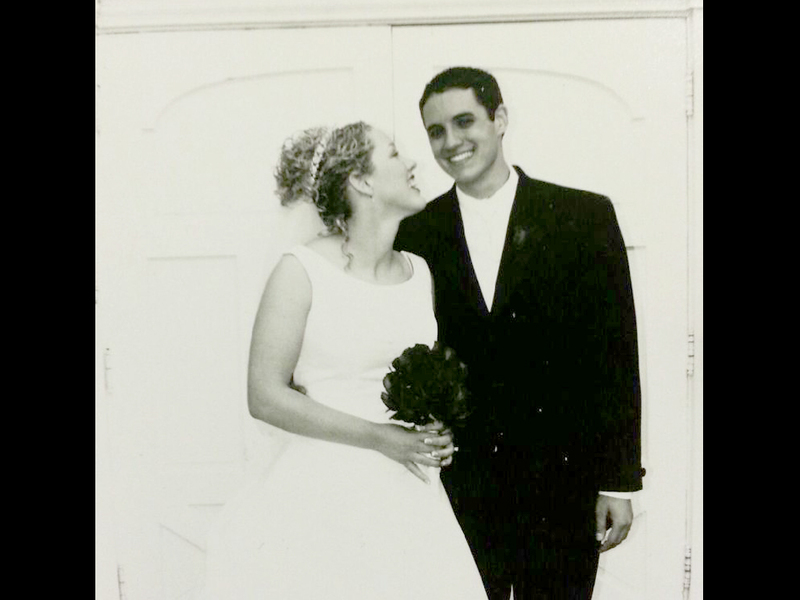 Here are fifteen Christ-centered insights gleaned from fifteen years of marriage. These are not listed in order of importance, nor are they comprehensive. But I pray that they are helpful to your marriage. 2) Don’t forget your covenant vows. Love is a wonderful gift from God, but feelings or even acts of love in and of themselves will not sustain a marriage. Dietrich Bonhoeffer wrote from prison to an engaged couple in his church, “It is not your love that sustains the marriage, but…the marriage that sustains your love.” When you said “I do,” you entered into a covenant. You made a vow before God and witnesses. Remember that, love your spouse unconditionally, and the marriage will sustain and even strengthen your love. 3) Love is a sweet gift of God. Enjoy every moment of wedded bliss. Life in a fallen world will throw curve balls at you. Sickness and stress will remind you often enough that you do not live together in Eden. So relish those moments together that are echoes of Eden! There is a verse in Ecclesiastes 9:9 that reminds me to enjoy life with my wife and that not everybody is allowed to enjoy fifteen years or fifty together: “Enjoy life with the wife whom you love, all the days of your vain life that He has given you under the sun…” “Vain” can also be translated “fleeting” or “vapor.” Life is like a vapor. Enjoy your spouse’s love as a sweet gift of God, and love your spouse back with all that you have! I told a Bible Study recently, “The only kind of drunkenness God encourages is being drunk with love for your spouse. In fact, He commands it.” Proverbs 5:19 instructs, “…Be intoxicated always in her love.” That is a stunning grace of God. 4) Help each other grow in Christlikeness. Help your spouse “get in the way of grace”: make it easy for him or her to be involved in a Bible study. Talk about what God is doing in your life and what you are learning about Him. Get deeply involved in a local church where you can worship together, where you will have good teaching, and accountability. Serve in your local church together. When you serve Christ together, you not only build up the body of Christ through serving others, but also encourage each other in following Him. When you serve Christ together, you also grow together in unity with your spouse. 5) Have fun together. My grandparents, who were married for 64 years, used to say that one of their secrets for a happy marriage was laughing together. They were right. If your marriage seems more like being roommates recently than friends and lovers, maybe it is time to plan a fun outing together that you will both enjoy. The happiest part of any day is seeing my bride laugh. 7) Always look to Christ for both your example and your strength. We as married couples have the awesome job of reflecting the relationship between Christ and the church to the world, our families and children, and other believers. Ephesians 5:22-33 means that every one of our marriages reflect some sort of picture of the gospel to others. When I look to Jesus for how to treat my wife, He also gives me strength to do so. The gospel is the engine that keeps me on the train track of growth as a husband. 8) Plan time for each other. Ministry can be very consuming, just as many jobs can be. I am so thankful for the pastor I worked with when Melanie and I were married. He brought me to Deuteronomy 24:5 and taught me how the Israelite men would stay home from war for one year after getting married so they could focus on their new marriage. He taught me that spending time with my wife was never wasted time. God makes it a priority and so should we. Don’t coast in your marriage! 10) Grow in understanding that you are on the same team. We clear up conflict much quicker than we did when we were first married fifteen years ago. Why? Partly because we know that we are on the same team! There is only one “person” who is our enemy, and that is Satan. It is no accident that the famous spiritual armor passage of Ephesians 6 that outlines the cosmic spiritual battle we are in, is close to Ephesians 5, the longest New Testament passage on marriage. When you know deep down that you are on the same team, it goes a long way to building the “one flesh” kind of unity that God calls us to (Genesis 2:24). 11) Love with a serving love. The Savior wants me to love my wife like He loves her. While I know I will never replace His love, it is a joy to grow in reflecting His love. One of the best ways I can do that is by learning to serve my wife. Jesus showed his love to His disciples with a basin and towel as He washed their feet. There is nothing God can call me to do for my wife that is too great of a sacrifice (John 15:13). My Savior laid down His very life for His bride. 12) Love with a hopeful love. “Love hopes all things…” (1 Corinthians 13:7) God calls us to not only love our spouse for who he or she is, but also to pray for him or her to grow into a godly man or a godly woman even as you grow in your walk with Christ. Remember that God is not finished with your spouse yet. We should be filling each other’s sails to help each other grow in whatever God has called us to. We don’t want others to think the worst about us, but sometimes we don’t extend the same courtesy to our spouse. Who your spouse is fifteen years from now will in part be a reflection of how well you have loved him or her. 13) Pray together. I am still growing in this. No one has challenged me more to pray with my wife than Dennis Rainey through his ministry at FamilyLife. He challenges husbands to pray every day with their wives (and more than just at meals). It is very hard to be angry with somebody you are praying with. In fact, praying together will help you to pursue God together. It will reveal your hearts and knit your hearts together as you come to the Throne of Grace together. 14) Remember that you are building a legacy. Live with each other not just for this moment, but for the next decade or the next five decades. During your first year of marriage, it is hard to see past the next couple of months. But having the perspective that our choices today will impact our children and grandchildren–even generations that we will never meet–will build habits and patterns in our lives that put eternity first. The legacy of a couple that is deeply in love with God and madly in love with each other has a bigger impact than we will ever know until Heaven. 15) I married the best woman out there. Really; I thank God every day for Melanie. I can’t imagine life and love without her. She’s mine and mine alone. If you are single, remember that once you are married, that person is God’s best for you. Pick wisely. I know I did! Next PostNext The Best Resolution for 2019: To Live to Make Jesus Famous!